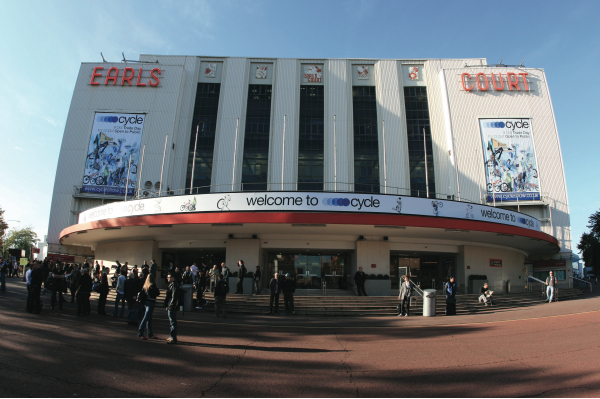 We don’t mind admitting we’re getting excited here at Cycling Active, because soon we’ll be drooling our way around Earls Court, looking at the sparkliest, blingiest bits of new kit at the Cycle Show 2010. Of course, it’s not just inanimate bits of metal that will get the juices flowing — there will also be a commuter test track where you can try out the newest ride-to-work machines; a mountain bike experience track where you can test your off-road prowess; and even a section devoted entirely to disabled riders. Free secure bike parking means you can start as you mean to go on — by riding to the show. And if you want to bring the kids, there will be a children’s test zone for under-fives and a Go-Ride area with fully qualified instructors for six to 12 year olds. If all that sounds a bit energetic, there will also be plenty of passive entertainment: fashion shows with the latest cycle clothing; demonstrations from the world’s most talented BMX bandits; or you can just go shopping for kit and accessories at the Cycle Store. Anyone and everyone from the British cycle business will be somewhere in the hall, so if there’s a specific product you want to know more about, or you just want to ogle and fantasise, come along. We’ll be there too, on stand B12, so drop by and say hello — we’ll even have some of the more interesting bikes we’ve tested on display. CA readers can buy tickets in advance for the special price of £10.50 (normally £12, or £15 on the door). Visit www.cycleshow.co.uk/cam and enter the code CAM when prompted. The Cycle Show 2010 will be held from Friday October 8 to Sunday October 10.